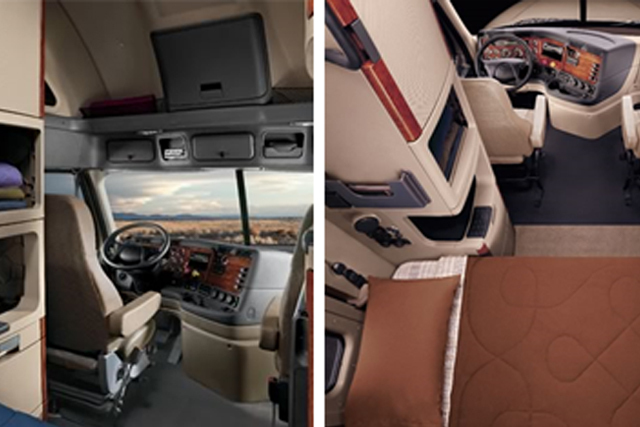 Creating quieter cabs was a huge milestone for the designers at Freightliner. They investigated how to reduce engine noise and put an end to wind noise utilizing Daimler Trucks North America’s innovative wind tunnel for testing. They also used the latest in electronic sonar technology to pinpoint and eliminate all the squeaks and rattles that annoy and potentially distract drivers. What they came up with was a quiet cab that lowered the audible vibration frequency by 50 percent, therefore allowed drivers to stay focused when they are driving and relax when they should be resting. Those who invest in the most comfortable heavy duty trucks ensure that not only their drivers are comfortable, but they are alert as well. To learn more about the Cascadia or any of our other truck models, contact a Freightliner dealer.